When improving the shooting technique, you need a support tool. So why don't you invest immediately in a shooting chronograph? How does it help? What are the features required for this product? How can you use the product? All you need above will be answered through our following article, the best shooting chronographs, choose the right one to improve your skill. New or experienced shooters recognize the convenience of a shooting chronograph. 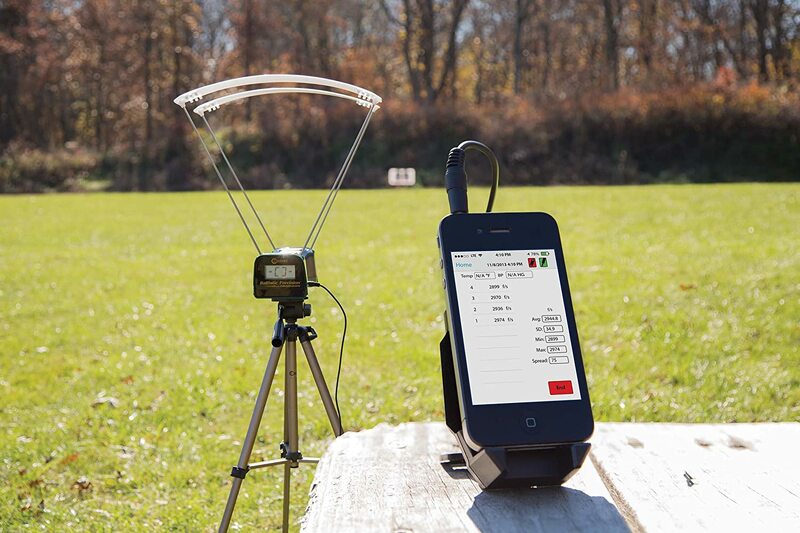 This product helps you maximize your operation on the shooting range and provides you with related data to get better skills. Due to that important characteristic, you need to choose the right products out of the market. Let's see what features are required in this product. What Features to Consider When Choosing the Best Shooting Chronograph? In the 1970s, an optical shooting chronograph uses the shadow of bullets and a timer but is not accurate when used in different light situations. Next, the CED uses infrared to detect velocity, but may still be inaccurate if the device or surroundings are not correctly set up. Another shooting chronograph, Magnetospeed, attached to the end of the gun provides some accuracy problems because it can change the barrel weight and is mounted on certain types of firearms. Or the Superchrono technology uses acoustic microphones to track the ultrasonic bullet. And the latest technology, Doppler, is highly regarded today. Technology that delivers the most accuracy is still controversial, but the M2 CED products are still used to measure professional velocity. Please choose a good product for the money. The market will provide you with various types of shooting chronographs ranging from low to high, including amazingly low prices. Do not choose because the price is too low even if the product with this price is not sure to bring poor quality or not to serve your needs. You should choose the product with the right features within the price range you accept after reading the product reviews thoroughly. Because there are many types of products, you should know that the shooting chronographs will be very different in their capabilities, especially the speed with which they are evaluated or the types of bullets you use. For gun or hunting enthusiasts who own many large guns, you have to buy a shooting chronograph that can meet the needs of your various guns. When you come across two products that are too different in price, be careful to consider the design or technology that makes them. 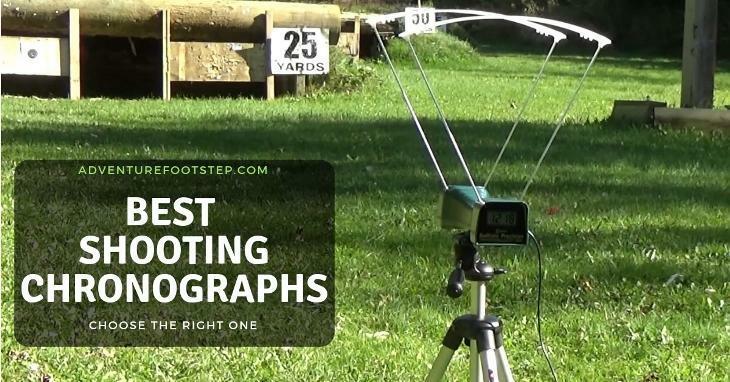 Some of the best shooting chronographs allow you to attach it to a tripod or the gun. Moreover, you can consider the remarkable technologies of a shooting chronograph such as the system of the optical light trap, or the radar of acoustic, Doppler or electromagnetic. You need to read the user guide of your shooting chronograph because of the different features and mechanisms depending on the product you choose to buy. Some chronograph must be parallel to the surface, but for others, you need the same height as the rear and front sensors. You should check the settings of your rifle and shooting chronograph after each session to ensure proper placement. The multi-round shooting also provides accurate measurement results. 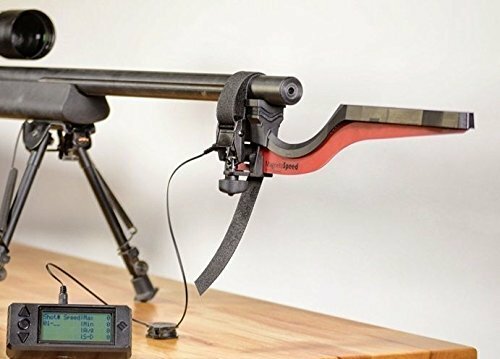 To set the chronograph, you need to turn off the boresight and bolt so that the bullet path is not too low and put your rifle correctly on a tripod or a sandbag. Then look closely at the bore, and when seeing the barrel lined up, you can aim at the real target. You need to adjust the horizontal position, angle and height according to the manufacturer's instructions. It’s the best way to start with the default settings, and you can make any necessary changes later. You have to shoot at photovoltaic cells, not shoot at a chronograph if you want to get accurate reading data. You can use red sights, lasers, drill holes or scopes to shoot the same location of photovoltaic cells to give more accurate results. You should not use the chronograph when the battery is low because it will provide you with unreliable results. The necessary distances include: the device is at least 10 feet away from your muzzle, your shots are no less than 5” above the light sensor, and your scope or red dot sight positions are 1”-2” above the bore. Are you still reading our article? Let's continue to explore the top 3 best shooting chronographs from our proposed list. First, we want to introduce to you the product of MagnetoSpeed brand. A unique feature of the Magnetospeed V3 Chronograph is the ballistic chronograph mounted on the top of the barrel. What's more special about this product? 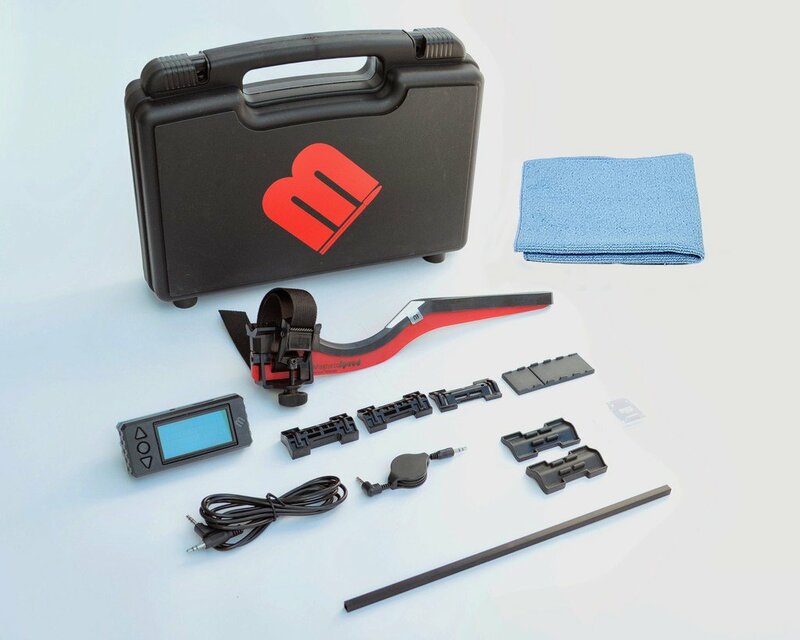 The manufacturer gives you a kit with everything you need to get the correct muzzle velocity reading on any gun easily. Many reloaders, shooters, and military units use MagnetoSpeed V3 for their precise chronograph. You can use it to support for guns with a barrel diameter of 0.5”-2". At the same time, manufacturing technology makes this product proven useful with updated sensor design. You are also easy to use thanks to the strong strapping system with metal buckle and triad thumb nut. Also, you also have a fast mode with firing speed and improved shooting modes, even when used with air guns. The product can help troubleshoot and log advanced data. Setting up and using the product is easy. The product comes with a nice hard case with everything in it. The product has enough spacers to use with any gun. You can attach products quickly to your rifle. It can save data to SD card to download to your computer. 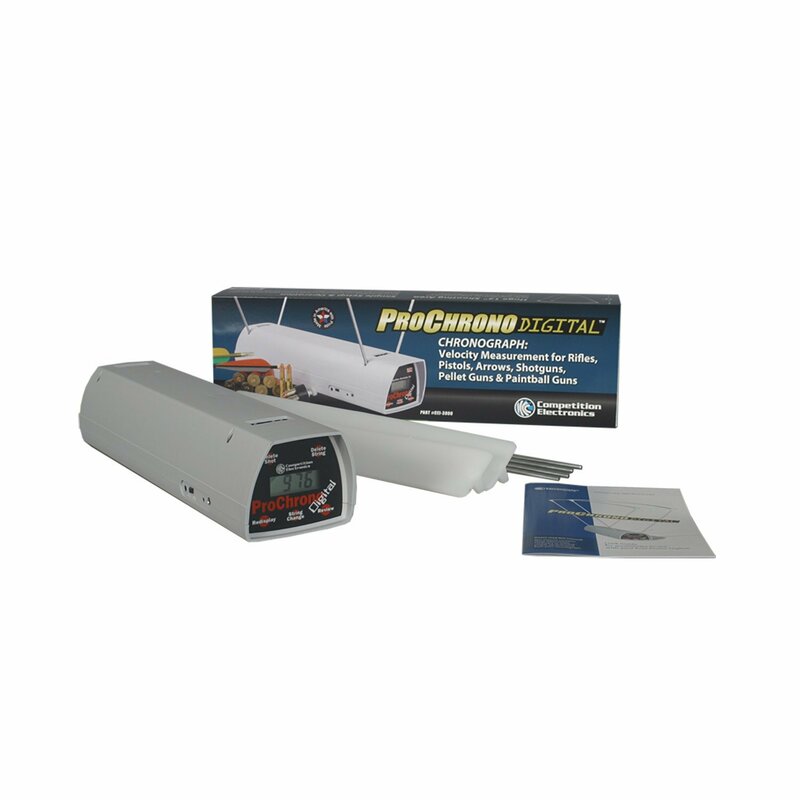 It offers high accuracy and can be used in public places and any range. Its price may be slightly high. If you need equipment to measure the velocity of anything that can shoot over a large area, we have a proposal for you, the Competition Electronics ProChrono. What makes this product attract you? You can store nine shot sequences with up to 99 shots each in the power memory. You can also review each shot and velocity string data such as average velocity, extreme spread, and standard deviation. To make it convenient to use, the manufacturer has designed a feature that helps erase an individual shot or the whole string by touching the button. In particular, you can attach this product to any tripod of camera or spotting scope through holes at the bottom of the chronograph. Besides, you can connect this product to the data port for remote capabilities with other accessories. Finally, you will be assured of using with US-made products in excellent service and support. This chronograph is easy to use, and you can read data from 5 yards. The product can correctly work with high accuracy. It is reliable and measures even the smallest or lightest bullet .22LR from a pistol. You can buy it at an affordable price. You can use this product in all kinds of light and weather without any errors. 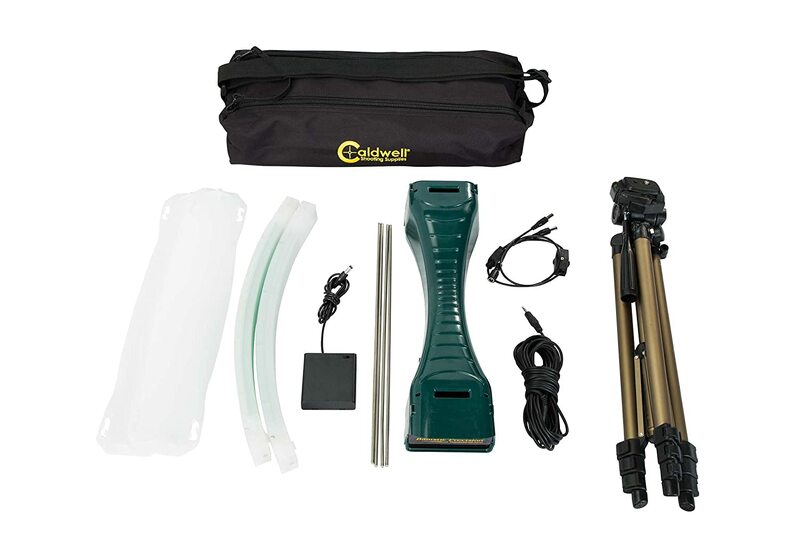 You may need a tripod and the additional adapter to use with this product. Finally, we introduce you a versatile product from the familiar Caldwell brand, the Caldwell Ballistic Precision Premium. This product has features that you won't regret when you own it. Firstly, the manufacturer calibrates each unit with an accuracy of +/- 0.25% and measures from 5 to 9,999 FPS. You can also easily use the extra-large solar screen to add shine when outdoors, read the large LCD screen quickly. Moreover, you can use this product with the tripod and audio jack cable to transfer data to your smartphone or tablet. The versatility of the product is that you can read the data of meters per second or feet per second when you use this chronograph for guns, archery, air guns, and paint bullets. Want to know the best pat? This device is compatible with iPhone, iPad, iPod Touch, Android 2.1 or newer and Kindle Fire Tablets. You can also use the free app to display speed, data log, notes, and weather conditions, easily export via SMS or Email. The product comes with a custom carrying case for storing and transporting chronograph, light kit, sunshades, and tripod. You can use this product with various ballistic programs with a variety of guns. It works precisely despite the impact of altitude, temperature, humidity, wind speed, bullet type and the ballistic coefficient on the bullet. The smartphone interface works well to locate, download and install the application without problems. The instructions are simple and clear for you to use the product quickly. The tripod sold with this product may be a little flimsy. Using a shooting chronograph is necessary if you want to improve your skills and participate in competitions. With the best shopping guides and product listings, we hope to help you with your selection. In our opinion, we want to buy this product, the Magnetospeed V3 Chronograph. The attraction for us is that it is quite convenient when mounted on the barrel. We are also pleased when it gives accurate data, sensitive sensors, and easy data storage. And of course, it is great to have a sturdy protective box attached to the product. Do you have the same choice as us? Or do you want to choose one of our top 3 best shooting chronographs? Please leave a comment as soon as you buy and use this product.